Host pathogen interaction takes place between a pathogen and a host. Microbial pathogens, particularly those that have sustained a long-standing association with their hosts, have evolved extremely complex adaptations to secure their own replication and survival. Pathogens include bacteria, fungi and viruses. Each of these several types of organisms can then be further classified as a pathogen based on its mode of transmission. This includes the following: food borne, airborne, waterborne, blood borne, and vector-borne. Many pathogenic bacteria, such as Staphylococcus aureus and Clostridium botulinum are food borne pathogens that secrete toxins into the host to cause symptoms. HIV and Hepatitis B are viral infections caused by blood borne pathogens, and Aspergillus is the most common pathogenic fungi that secretes aflatoxin which acts as a carcinogen and contaminates many foods, especially those grown underground (nuts, potatoes, etc.). 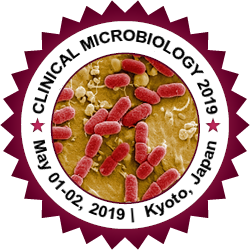 Microbes may be both hosts or pathogens and the studies of microorganism pathogenesis results in the identification of molecular variations between a pathogenic and a non-pathogenic microorganism.